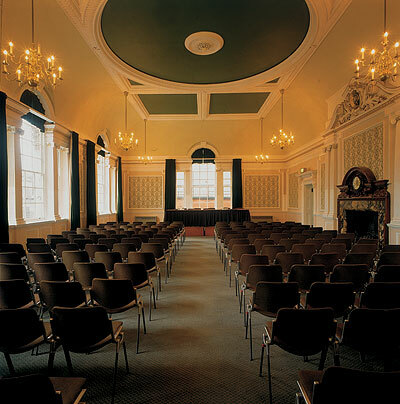 The Small Hall at the Chelsea Old Town Hall, where the Quintila PoliNations Summit will be held. 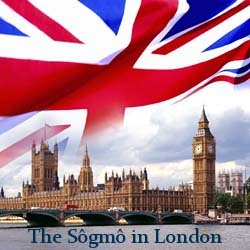 The Sôgmô has already begun packing for his Tuesday departure for London. Prior to our departure for the Quintila MMXII PoliNations Summit, the following schedule shall be updated to be as clear and precise as possible. Hopefully, video addresses shall be created for each day of the visit to London. Depart from Washington Dulles Airport (KIAD), board Virgin Atlantic flight 22. Most likely remain up during 6h38 (average) flight, read Marcus Aurelius’ Meditations, Voltaire’s Candide ou l’Optimisme, Wiseman’s The Voice of the Dawn. Arrive at London Heathrow Airport (EGLL) (weekly average is 06:10 UTC), arrive at flat in Chelsea (Elm Park Gardens). Have breakfast with the Duchess of Hamilton. At about noon, Hampton Court Palace, Kensington Gardens/Hyde Park, or other park with Tierney. Museums (Sir John Soane’s Museum, British Museum, Museum of London) with M. Cruickshank and others? Evening show at St. Paul’s Cathedral? Pre-Conference Dinner in the evening (TBA). PoliNations summit from 10:00 to 17:00, evening chat with M. Puchowski and M. Sutherland(?) at Sandum flat, dinner at Kitchin for 19:30. Observe the Festival of the Gemini. Potential visit to King’s College or University College London, visiting places of higher education. Visit St. Paul’s Cathedral, the London Mithraeum, visit the Globe? Day is free, state visits to other micronations? Day is free, visit historical areas of London? Farewell to micronationalists still in London/who live in London. Travel to Windsor to stay in hotel. Depart from London Heathrow Airport (EGLL) and arrive at Washington Dulles Airport (KIAD) aboard Virgin Atlantic flight 21. Visit UCL with M. Tierney of Renasia. Visit important historical sites in London and the Home Counties with others, especially the London Mithraeum. May the Dioscuri keep safe our travels so that the voyages shall never be distressed and may Poseidon keep us safe over His seas.